"You will be missed by all of the Cowboy Shooters in the west. Our condolences to your family. With our love." 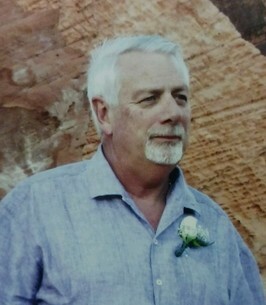 Rodney “Skeeter” Gies, 64, of Greeley, passed away on September 11, 2018 in Denver, Colorado. He was born to Robert and Leona (Stauss) Gies on November 7, 1953 in Greeley, Colorado. Skeeter graduated from Greeley Central High School in 1971. He was married to Patricia Staggs Sept. 8th 1972 in Greeley, CO. They had 2 children together, Kevin & Marci. Skeeter was very active in basketball, volleyball, softball and bow hunting. Sept. 10, 2011 Skeeter married Michele White. They enjoyed traveling all over the world as well as loving on their dogs. Skeeter retired from Atmos Energy after 43 years in January 2015. He enjoyed spending time with his older brother Ron cowboy shooting as a member of SASS; an international cowboy action shooting society, playing poker with his son Kevin, watching his grandchildren play sports and Golfing with his friend Russ Hartley. Skeeter is survived by his children, Kevin Gies (Heather), Marci Gagnon (Joe); eight grandchildren and one great grandchild; siblings, Ron Gies (Mary Ann), Roberta “Bobbi” Haas; a loving extended family and many friends. Skeeter was proceeded in death by his wife, Michele and his parents. A celebration of Skeeter’s life will be held at 11:00 am, Monday, September 17, 2018 at the First Church of the Nazarene, 2515 W 16th St, Greeley, Colorado. The staff of the American Cancer Association® at www.AmericanCancerFund.org is sorry to hear of Rodney’s passing. We have received a memorial donation in his name and our sincere condolences go out to his family. I have many fond memories working side by side with Skeeter in the eighties at old Greeley Gas. Lots of after hour memories as well. God Bless you Skip. With Love we send our condolences to your family and friends your happy face will be missed by many. You will be missed by all of the Cowboy Shooters in the west. Our condolences to your family. With our love. I worked with and for Skeeter for many years at Greeley Gas/Atmos Energy. He was a dedicated employee and a very fair man.His personality was second to none.The world has lost a true gentleman and he will be missed.My condolences to his Family and friends.